I made a life-changing decision two years ago – ditch the high powered career and do “something else”. Having children late, in my 40s, had shown me that I could do something radically different rather than the slow crawl towards retirement in an increasingly stressful yes tedious job. I decided I wanted my professional life to better reflect the rest of my life and to be, well, more fun. I have two young children (then 1 year and 2 years old) and had worked in the civil service for 20 years. I was pretty institutionalised, I didn’t know what I wanted to do. After some soul searching, a bit of talking to friends and a lot of watching DVD box sets I decided to set up in business as Big Fish Little Fish – to put on family raves. Yup, that’s right, FAMILY RAVES. 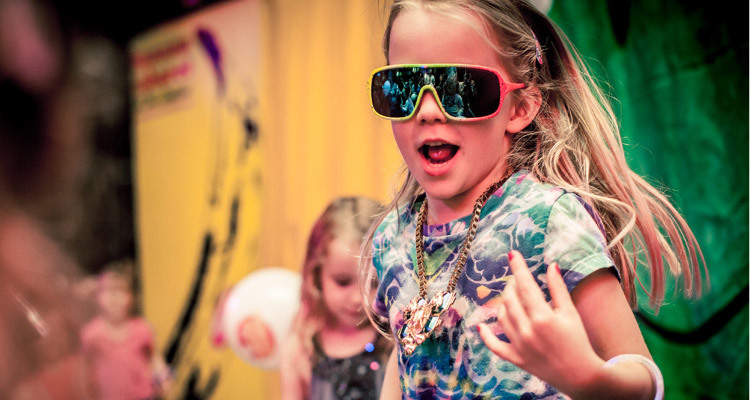 Sounds weird, but I figured as it was something I wanted to do with my own kids (big clubber BITD, took my kids to festivals when only a few weeks old) and I couldn’t find anywhere providing what I was after – perhaps others would enjoy these parties too? From Deputy Director in the Home Office to shady lady promoter in one fell swoop. I started the business just over a year ago and it would have been cheaper to buy a sportscar and less time-consuming to have an affair with a 25 year old, but, as I can’t drive and am happy with my fella, my “follow your dream” business startup must suffice as my mid-life crisis. – a Q&A with a major national newspaper that included 3 glorious hours of my hair and make up done in my house and a photo shoot. Article never bloody appeared though. – my house turned into a stock room including 8 play tents, 36 yoga mats, 2 ball pools, snow machine, 2 bubble machines, a lighting rig, multiple heavy duty stands, boxes of confetti cannon and more glowsticks that you could wave a, well a glowstick, at…also so many boxes of smoothie from my sponsors Happy Monkey that when they are first delivered I can build a throne of them and they block all the sunlight out of one room stacked in front of the patio door. – venue bouncer played support DJ when the booked one failed to turn up. Was brilliant. Despite, or perhaps because of this, my strange idea has been a hands-in-the-air, dance-your-socks-off success. Over twenty-five parties playing to over 10,000 people. Knockout reviews (“Sorted for Cakes and Fizz”, “Having It Tiny” and “From the Cradle to the Rave”) from national to London-wide to local press and bloggers. My favourite being The Guardian’s “London’s latest clubbing craze”. 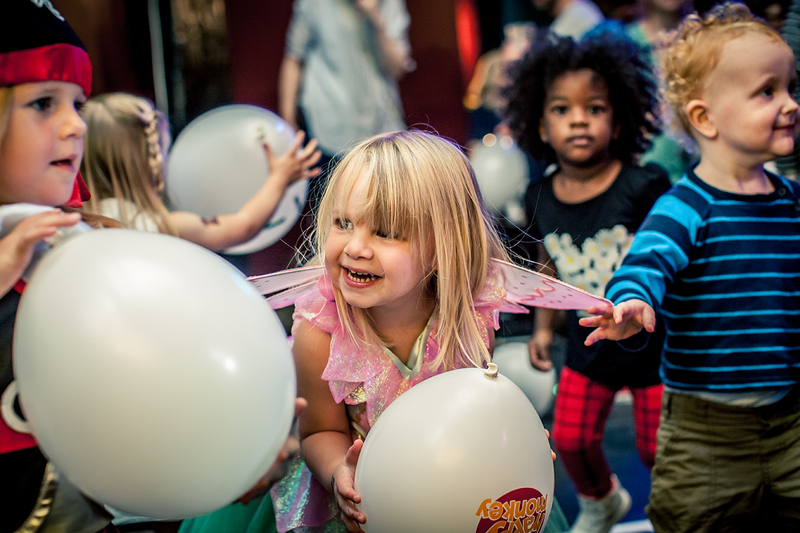 Seven venues in London, a residency at Camp Bestival, the Coventry Mysteries Festival, radio show on MEATransmission and established Captain Cookie’s The Minnow Club craft cafe for pre-schoolers. I went to a site visit at a new venue last week and the festival producer praised my expertise and was asking for advice about how best to support and manage the family crowd. Jeez, he thought I actually knew what I was talking about. None of this would have happened without the inspiring, creative and wonderful BFLF crew who have joined over the last year. It really is a family affair with all partners and kids playing a role. Natasha Morabito (Communications Director) takes care of two small children whilst working on BFLF – one of her daughter’s earliest words was “flyer” and Alfie Willmott’s (Craft manager) daughter has to try out all the different crafts. My own partner (David Round) has done everything from my accounts, to Operations Manager to primary caregiver. …and at the heart of all this “responsible irresponsibility” as one regular BFLFer had it, has been my children. Adding to the chaos and the joy. They inspired Big Fish Little Fish and I have been able to spend much more time with them than I would have done if I had stayed in the civil service. It has been brilliant to see them enjoy the parties. and they have developed an acquaintance beyond their years to pub and club venues but I think it has made them wonderfully independent. Of course even though Big Fish Little Fish is still a fledgling business it must grow and develop. I love that I am now starting to work with artists such as Hellicar&Lewis and receive requests from eg. The Southbank Centre to bring the BFLF party to different places. Next up I’ve got the legendary Coldcut DJ Jon More playing the BFLF Xmas party in Balham on 14th December and a sold out gig in a spiegeltent at Winterville, Hackney on 23rd (I’ve bought a SNOW MACHINE to play with). In the new year there’s a great new venue – Electrowerkz, Islington on 25th January, a Space Oddity (techno) special, a great arts centre gig – Stratford Circus 7th February, and one of our regular parties in Balham on 8th February. I hope we will bring ever more anarchic, creative, daft family fun to the masses. 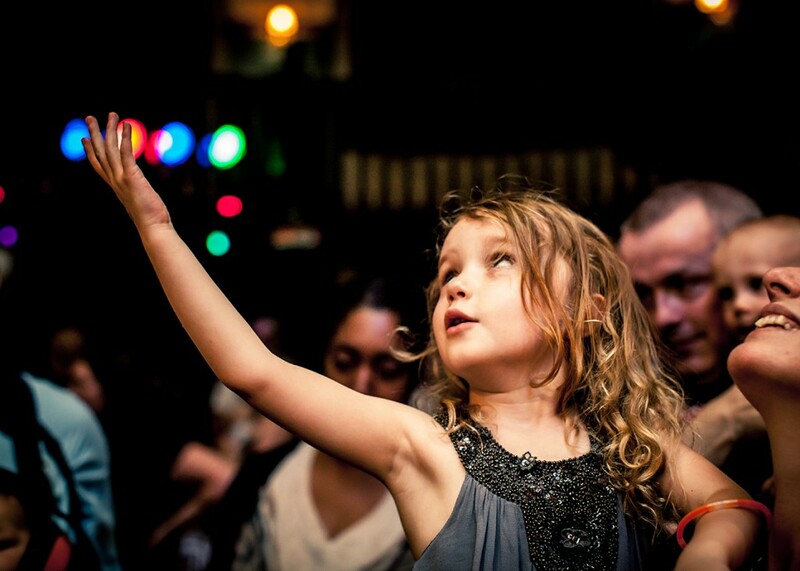 See you on the dancefloor – everyone’s welcome! Big Fish Little Fish play parties in Balham and Winterville (sold out) before Xmas and then Islington, Stratford and Balham in the new year. Tickets and more information can be found via www.bigfishlittlefishevents.co.uk @BFLFEvents and Facebook.com/bigfishlittlefishevents.